Gifts from Wicked Wicker, LLC: Wanna Bowl at Let it Roll??? Your favorite 501(c) 3, The Women's Enterprise Foundation (WEF), is at it again.....(drum roll please) it's time for our 3rd annual bowl-a-thon!!! Let it Roll, will be hosting our event this year on Sunday, November 6th, 2011. Registration begins at 12:30pm. With the Awards Ceremony happening at 3:30pm. • Be a Team captain and form a team– Gather friends, family (we are kid friendly), or coworkers to have a great time! Challenge another team to a friendly competition. • Sponsor a team - Don't worry we will get the bowlers for you! And you can cheer them on!! $50/person to bowl - includes food, soft drinks, 2 hours of unlimited bowling, shoe rental and (5) raffle tickets and the opportunity to make new friends on a team that needs you!! 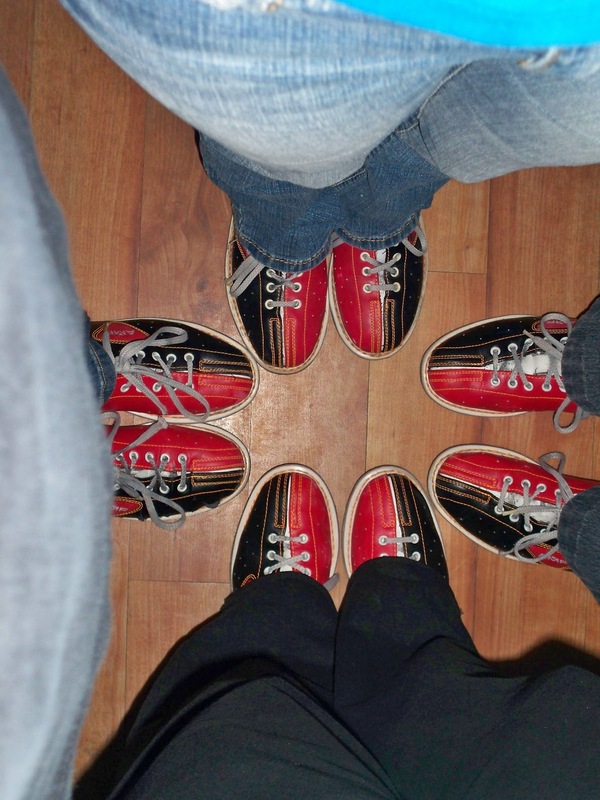 $225/team to bowl (5 people per team) and you will save $5 per person!!! - includes food, soft drinks, 2 hours of unlimited bowling, shoe rental, and (5) raffle tickets for each bowler!! Any $$$ amount can be pledged to Jill (that's me!) or any other WEF board member, team captain, or single bowler...all donations collected help fund scholarships, grants, and mentoring programs for emerging women business owners in the Phoenix area. Hiya I'm a new follower from Blog it Forward Tuesday please drop by A Little of This and a Little of That and follow back. Also "liked" your Facebook page and followed you on Twitter (elliejf) Networked Blogs. Gosh, it had been years since I went bowling and just last weekend during my anniversary my husband and I went. I forgot how much fun it is! New Follower! Stopping over from the wednesday blog hop. I have my 1,000 fan celebration going on right now giveaways daily! from sept. 19th-30th! Sounds like a great event! I found you on the Wild Wednesday hop and I'm following you on GFC. Come hop with me tomorrow during my Friends-day Wednesday hop! What a great event and a fun way to raise funds. Good luck with it all and have a blast! Coming by from Thursdays Friends Cafe Blog Hop! Hi there, new to your site via So Followed Saturday blog hop. It's been a long time since I have seen wicker - real wicker. Beautiful stuff you have here. Enjoy the rest of your weekend! Sounds like a great event! I found you on the Wild Wednesday hop and I'm following you on GFC.